Eliciting comparisons to Orwell's Homage to Catalonia, Pritchett's meditative work on Spain is comprised of a string of sketches, woven around the author's musings on the Spanish character. 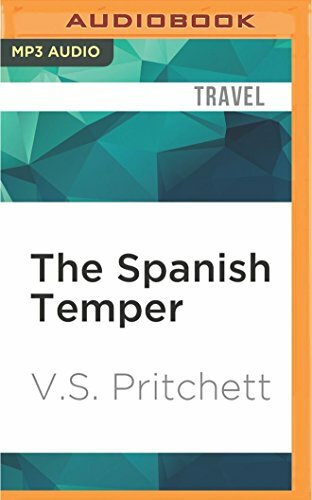 Having lived in Spain for four years during the 1920s, Pritchett is well placed to deliver such a report, and his resulting narrative is both well informed and delightfully written. Victor Sawdon Pritchett (1900-1997) was born over a toyshop in 1900 and, much to his everlasting distaste, was named after Queen Victoria. A writer and critic, his is widely reputed to be one of the best short story writers of all time, with the rare ability to capture the extraordinary strangeness of everyday life. He died in 1997. About: Eliciting comparisons to Orwell's Homage to Catalonia, Pritchett's meditative work on Spain is comprised of a string of sketches, woven around the author's musings on the Spanish character.